Terence Fisher directed many of the classic horror films that set a new seal on what we expected in horror from the 1950s on. THE CURSE OF FRANKENSTEIN, HORROR OF DRACULA, REVENGE OF FRANKENSTEIN, HOUND OF THE BASKERVILLES, THE MAN WHO COULD CHEAT DEATH, STRANGLERS OF BOMBAY, THE MUMMY, THE TWO FACES OF DR. JEKYLL, THE BRIDES OF DRACULA, THE CURSE OF THE WEREWOLF, PHANTOM OF THE OPERA, THE GORGON, DRACULA PRINCE OF DARKNESS, FRANKENSTEIN CREATED WOMAN, THE DEVIL RIDES OUT, FRANKENSTEIN MUST BE DESTROYED AND FRANKENSTEIN AND THE MONSTER FROM HELL. Neil Barrow spent more than 10 years researching the history of Fisher – the man and his films – and talked to many of the people involved in their production. Author Mark Miller calls Barrow’s career article, “gold.” So will you. Robert Tinnell and Mark Clark use the crypt scene from “Dracula” to show a great director at work. Illustrated with over 25 scene grabs. Back Cover painting by Bruce Timm. v Loaded with rare behind-the-scenes shots of Fisher at work and personal photos courtesy of his daughter, Micky. 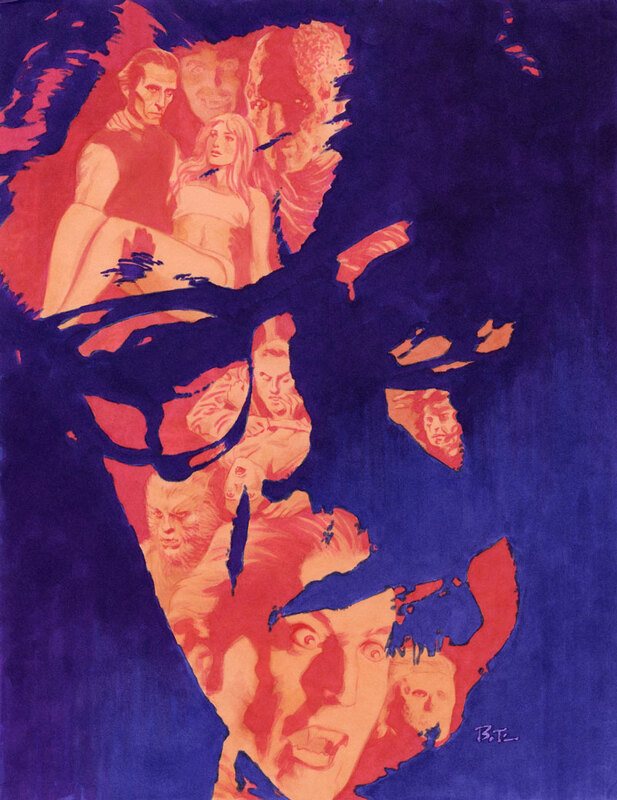 v Color paintings by Steve Karchin, Bruce Timm and Mark Maddox, with a special color page of Fisher’s films by Ted Bohus. v Interior artwork by Neil Vokes, Bruce Timm, Adrian Salmon, Murad Guman, Frank Dietz, Mark Maddox and Dan Gallagher.